Synopsis: (from SJM’s website) In a land without magic, where the king rules with an iron hand, Celaena, an assassin, is summoned to the castle. She comes not to kill the king, but to win her freedom. If she defeats twenty-three killers, thieves, and warriors in a competition, she is released from prison to serve as the king’s champion. The Crown Prince will provoke her. The Captain of the Guard will protect her. But something evil dwells in the castle of glass—and it’s there to kill. When her competitors start dying one by one, Celaena’s fight for freedom becomes a fight for survival, and a desperate quest to root out the evil before it destroys her world. 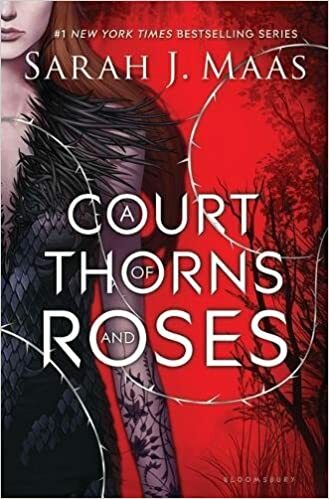 Review: I am already very familiar with this author — I’ve read her ACOTAR series and I adored it. So picking up the TOG series seemed like a no brainer. I wasn’t disappointed by this first book in the series. The characters (although spelled in an awesomely difficult way) were well developed and full of conflict, the world building was as detailed as I expected it to be. One thing that was interesting and unexpected was Maas’ choice to change points of view. I like books that are driven by a single protagonist, so that was an interesting twist. I’m excited to continue the series to learn more about Celaena’s past. Maas’ character development really creates a beautiful and full female lead. But the supporting characters were equally well written. Chaol is broody and sullen, which I really like in a male lead. Dorian was more than just an arrogant prince. Celaena’s relationships with the other characters were realistic and plot driving. 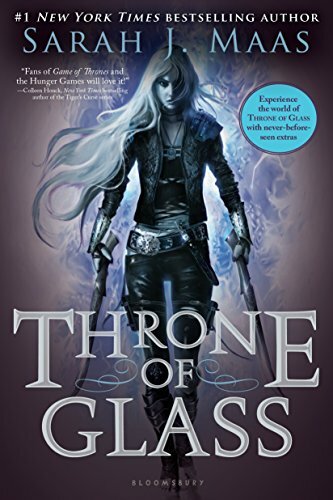 ​i love Sarah J Maas and was not disappointed in this book. I couldn’t put it down. It didn’t hurt that I was on vacation while reading — a private island definitely helps the reading vibe. Synopsis: (from Goodreads) Seventeen-year-old Alice and her mother have spent most of Alice’s life on the road, always a step ahead of the uncanny bad luck biting at their heels. But when Alice’s grandmother, the reclusive author of a cult-classic book of pitch-dark fairy tales, dies alone on her estate, the Hazel Wood, Alice learns how bad her luck can really get: her mother is stolen away―by a figure who claims to come from the Hinterland, the cruel supernatural world where her grandmother’s stories are set. 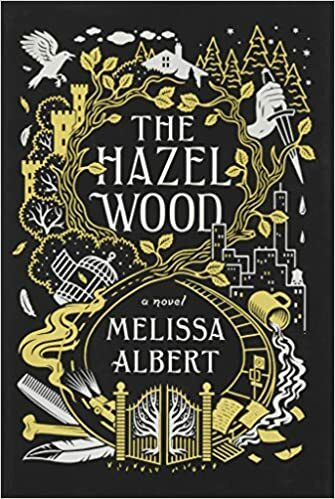 Alice’s only lead is the message her mother left behind: “Stay away from the Hazel Wood.” Alice has long steered clear of her grandmother’s cultish fans. But now she has no choice but to ally with classmate Ellery Finch, a Hinterland super fan who may have his own reasons for wanting to help her. To retrieve her mother, Alice must venture first to the Hazel Wood, then into the world where her grandmother’s tales began―and where she might find out how her own story went so wrong. Review: Reading this book was almost like walking into fairy tales for the very first time. It had an almost Grimm feeling to it but in a wholly original way. The author created an amazing cast of characters and a strong narrator, Alice, that made the read swift and adventurous. The twists and turns were unexpected and mysterious and the whole time I read it, I just kept wondering how it would end. I wasn’t disappointed. Albert’s writing style wove truth and story together beautifully. She created a modern, realistic New York City and juxtaposed it perfectly to the fantastical and horrifying Hinterland. As everything in fairy tales are better in threes, I’ll leave at this: I’d 100% read more about Alice. Three times. *Special thanks to Netgalley for an ARC in exchange for an honest review. 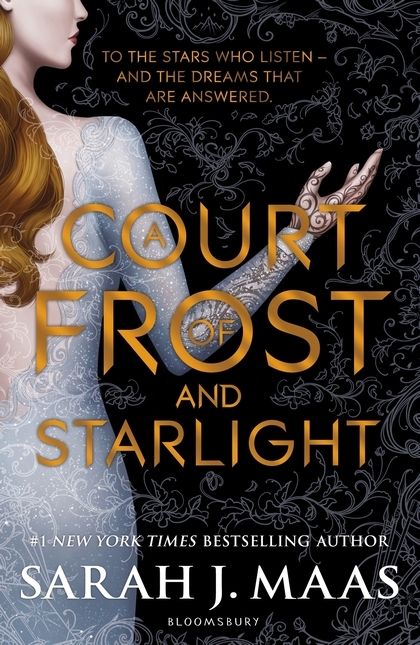 Synopsis: (from Goodreads) Feyre’s survival rests upon her ability to hunt and kill – the forest where she lives is a cold, bleak place in the long winter months. So when she spots a deer in the forest being pursued by a wolf, she cannot resist fighting it for the flesh. But to do so, she must kill the predator and killing something so precious comes at a price … Dragged to a magical kingdom for the murder of a faerie, Feyre discovers that her captor, his face obscured by a jeweled mask, is hiding far more than his piercing green eyes would suggest. 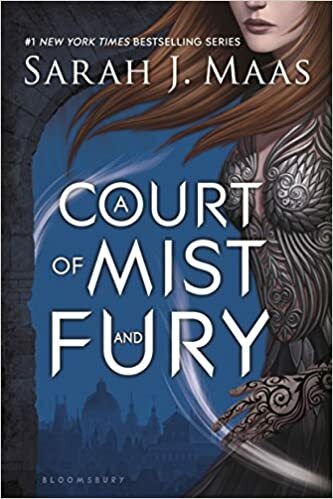 Feyre’s presence at the court is closely guarded, and as she begins to learn why, her feelings for him turn from hostility to passion and the faerie lands become an even more dangerous place. Feyre must fight to break an ancient curse, or she will lose him forever. Review: Recommended to me by one of my friends, this book was interesting to get into. It’s very much a fantasy book, but it reads more like a coming of age novel with a strong and stubborn female lead. This lead, Feyre (pronounced fay-ruh), is caring and wise, and as a reader, you root for her success. ​As an avid reader, I was impressed with the author’s ability to create a character like Feyre. She feels intense emotion, she doesn’t make all the right decisions, and she’s driven by instincts and the goodness in her heart. She felt so real and authentic that I couldn’t wait to keep reading. It was obvious to me that this was a Beauty and the Beast retelling, but at no point did I feel like I knew what was coming. Instead, I fell in love with Feyre and Tamlin along with the rest of the Spring Court and counted on Feyre to conquer all. Feyre survived Amarantha’s clutches to return to the Spring Court—but at a steep cost. Though she now has the powers of the High Fae, her heart remains human, and it can’t forget the terrible deeds she performed to save Tamlin’s people. Nor has Feyre forgotten her bargain with Rhysand, High Lord of the feared Night Court. As Feyre navigates its dark web of politics, passion, and dazzling power, a greater evil looms—and she might be key to stopping it. But only if she can harness her harrowing gifts, heal her fractured soul, and decide how she wishes to shape her future—and the future of a world cleaved in two. Review: This book has all of the things I’m looking for in a good novel — it has a great plot line, amazing subplot lines, organic and realistic characters, and the suspense factor that makes you turn the page. Now, from the reader and ACOTAR fan in me, I love this book because the main characters are so, so, so lovable and believable. I like when I can get behind a character and fall in love with their arc. That’s exactly what has happened here. The characters you love in ACOTAR are built upon and made more complex in this second installment. The characters you meet in ACOMAF are strong and fun and interesting. Maas has a gift for character development and shows that most clearly through Feyre’s development. Plus. Yummy Rhysand, amiright? The Persephone and Hades subtext was not lost on me. I loved that so much. Maas is great at turning what I loved about ACOTAR on its head. Feyre is still Feyre, but she’s seeing through new eyes and without the constant fear of dying at Amarantha’s hand, she can begin to see clearly. I cannot wait for book 3.